Our health is shaped by where we live, grow, play and work. When you think about it, budgets are really a blueprint for our health. A good budget is one that provides opportunities for good health for all Ontarians, and this budget moves us in the right direction on postsecondary education and climate change. In the buzz that follows the release of a provincial budget it can be near impossible to understand what it means for the things that really matter to us, like our health. The Ontario budget's official title was Jobs for Today and Tomorrow -- a nod to one of the day's most pressing political priorities -- but jobs are just one of the determinants that make us healthy. So, now that the buzz has died down, how does this Budget do on health? Pretty well, but there's more to be done. 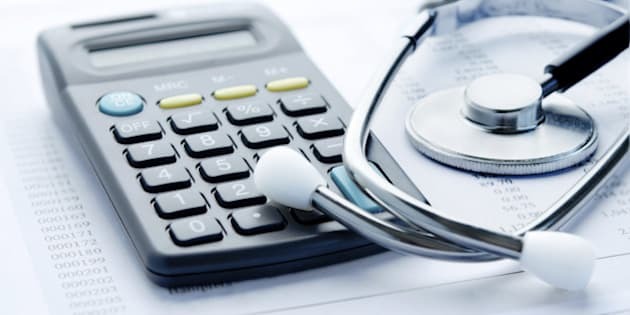 There has been much commentary about new funding in Ontario's $52-billion health care budget, such as the additional $345 million for hospitals and $333 million for autism services, and plenty of controversy over higher drug costs for some seniors. But health is about more than health care. Our health is shaped by where we live, grow, play and work. When you think about it, budgets are really a blueprint for our health. A good budget is one that provides opportunities for good health for all Ontarians, and this budget moves us in the right direction on post-secondary education and climate change. Too many Ontarians live in poverty and can't afford basic necessities like healthy food, transportation and child care. The budget's headline commitment to improve access to post-secondary education for students from families with income under $50,000 holds potential to improve health equity over the long-term in Ontario. People who are better educated have a longer life expectancy, lower risk of chronic diseases like heart disease and tend to have higher earnings over their working lives. Replacing the patchwork of grants and tuition tax credits with a single Ontario Student Grant that provides upfront support to help students from low income families into post-secondary education is a smart and simple policy change that will have positive equity impacts as children from low and moderate income families have greater higher education opportunities. This change will improve health equity for generations to come: having a parent with a post-secondary qualification is an important determinant in children pursuing higher education. The budget also included a healthy move toward carbon pricing as part of the cap-and-trade program that begins early next year. The health impacts of climate change are well known, including increased incidence of heat and cold-related illnesses and death, injuries resulting from severe weather and cardiovascular and respiratory illnesses associated with poorer air quality. We all face these health risks but vulnerable populations such as the elderly, children and homeless people are at greater risk. We all benefit from initiatives that improve air quality, but vulnerable populations stand to benefit the most. Ontario's cap-and-trade program has the potential to make us a healthier and more equitable province. While the health prognosis for this budget is mostly good there is still work to be done. Too many Ontarians live in poverty and can't afford basic necessities like healthy food, transportation and child care. And housing continues to be an area of concern. Living in poor housing conditions can contribute to health problems like infectious diseases, infestations and respiratory conditions. People with low income may live in poor quality or unsuitable housing owing to cost, especially in expensive cities like Toronto. The Budget committed an additional $15 million a year for municipalities to invest in homelessness prevention and $2.4 million to pilot a small portable housing benefit pilot but on the big housing issues the Budget treaded lightly. Ontario needs an additional 30,000 supportive housing units to meet needs. The extra funding announced is welcome -- averaging $45 million annually and 500 new units a year -- but stronger steps are needed. A healthy budget is one that invests in the determinants of health; health doesn't begin and end at the hospital doors. Looking to 2017 we need a budget that raises incomes to levels where it's possible to be healthy, supports healthy child development and builds stronger social environments. Here's hoping that next year's budget will be called A Healthier Ontario for All.